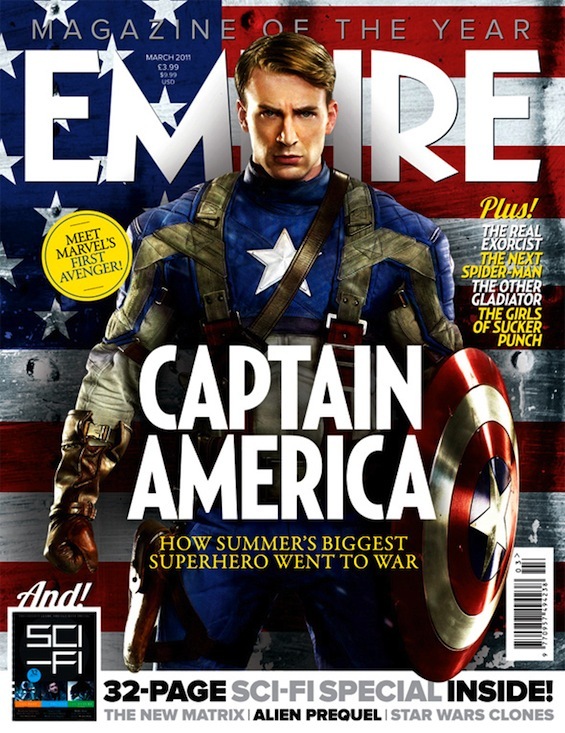 Empire Magazine released a preview of its upcoming issue the features Chris Evans as Captain America. 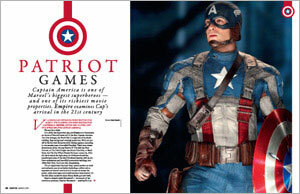 Though Christ don't have the mask on this shot, he sure looks badass and comfortable wearing the star spangled costume. We also have a very tiny preview of a inside cover. I hope we can get a bigger version of this because it looks awesome.